Intoduction: InfoSewer is used worldwide by municipal engineers and planners to create detailed, accurate models of their sewer infrastructure systems. These models enable users to evaluate the effect of new developments, zoning changes, and other additional loads on system flows; pinpoint current and future problem areas; predict overflows and backups; and determine how to best restore needed capacity lost to infiltration and inflow with the least rehabilitation. In addition, users rely on these models to compute hydrogen sulfide generation and corrosion potential; analyze the rate of Biochemical Oxygen Demand (BOD) exertion; track sediment movement and deposition; calculate the amount of pollutant transported to the wastewater treatment plant; and assess pollutants’ impacts on receiving waters. Extensive scenario management along with domain and facility management functionality makes the program capable of analyzing existing or proposed sewage collection systems. 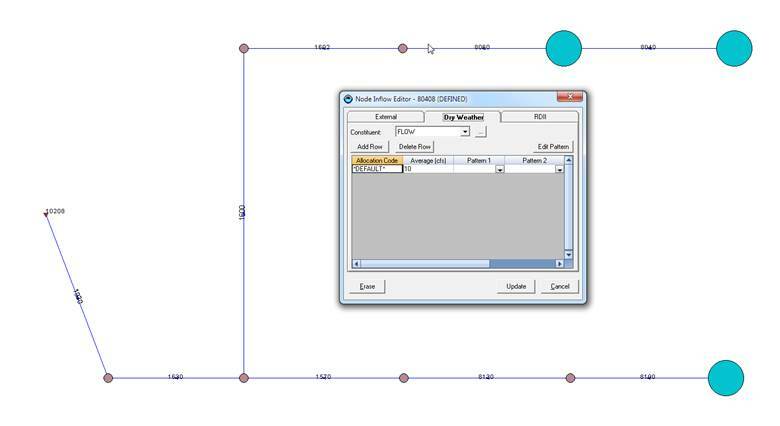 It has a Steady State, Design and EPS run modes and includes many of the same Arc Map tools that exist in InfoWater and InfoSWMM. 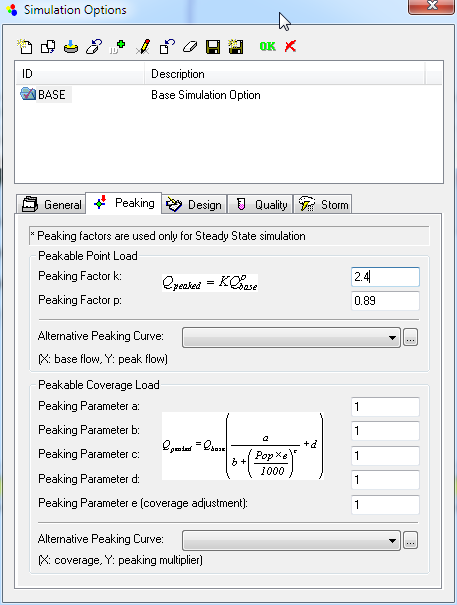 This blog discusses how to use Peaking factors from a Steady State simulation in an EPS simulation. 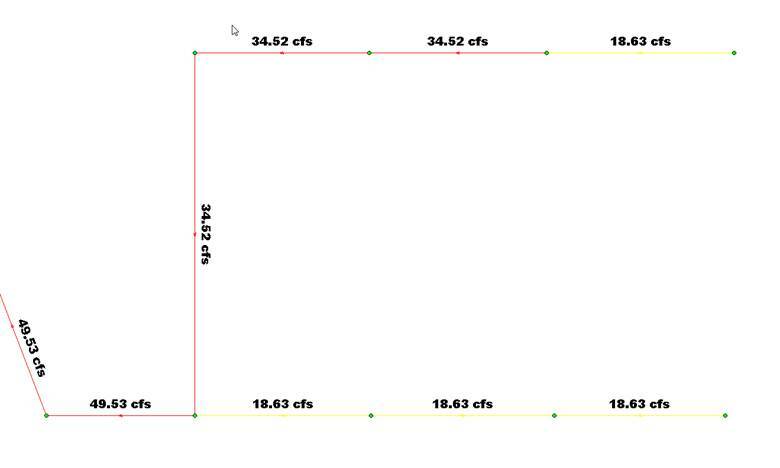 One of the advantages of the three Run options in InfoSewer (Bullet 1 in the image) which are Steady Sate, Design and Extended Period or EPS Modeling is that you can use Peaking Flow Factors for the Steady State Loading Manholes (Bullet 2 in the image). Unfortunately, you cannot use Peaking Factors for EPS simulations which is often a modeling issue. However, you can copy the Total Flow for each node in the Steady State Output Report and use this Total Flow as an EPS “other” loading (Bullet 3 in the image). In an EPS Simulation you can use the Advanced Force Main Modeling option and automatically have flow splits for Force Mains and model more complicated Force Main configurations. If you just simulate the EPS for one hour then you have a quasi steady state simulation with Total Flow (Unpeakable + Peakable) and the Advanced Force Main Solution. Of course you can load the Peaking factors at a node using the DWF table, Excel and two Hot Start files. However, do you want to have the flow in the links or the load to the upstream end of the link based on the UPSTREAM flow as well? Or a rolling peaking factor calculation? The way we do this in InfoSewer is to sum all of the peaking values to a link and then apply the peaking factor calculations to the link – this is only done for Steady State though. A significant difference between InfoSewer/H2OMap Sewer and InfoSWMM/H2OMap SWMM is how peaking factors are applied to the dry weather flow (DWF) at the nodes. InfoSewer has unspeakable and peakable flow with the peakable flow equation defined in the peaking tab of the Run Manger (Figure 1). The peakable flow equation is only used in the Steady State solution of InfoSewer. InfoSWMM only has unspeakable flow and no way to define peakable flow. This blog shows a way to externally calculate the peakable flow in Excel and apply it as a DWF Scenario DB in InfoSWMM/H2OMap SWMM. 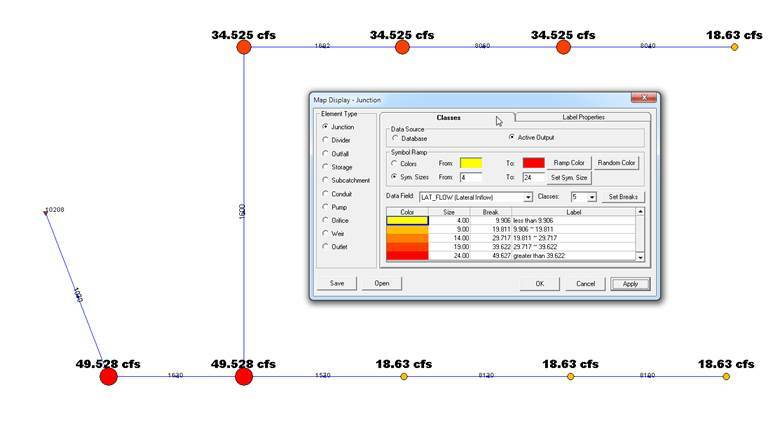 Here is a list of steps you can take to show the peakable load in InfoSWMM/H2OMap SWMM. Figure 12 contrasts the peakable flow estimate in InfoSWMM compared to the InfoSewer peakable steady state flows. Step 1. Enter the DWF Unpeakable flow in the InfoSWMM DWF DB table without a DWF Pattern (Figure 2). We will run the model with constant inflow to simulate the Steady State solution in InfoSewer. Step 2. The DWF can also be entered at the node level of the Attribute Browser. Figure 3 shows the DWF loads at the Nodes using lateral flow as the mapping parameter. Step 3. Using Run Manager in InfoSWMM run the model using the constant DWF loads. Step 4. Find the Total Flow at Each Node using the Customized Report Manager Tool from the model output. We will use the total flow to calculate the peakable flow at each node (Figure 4). Step 5. 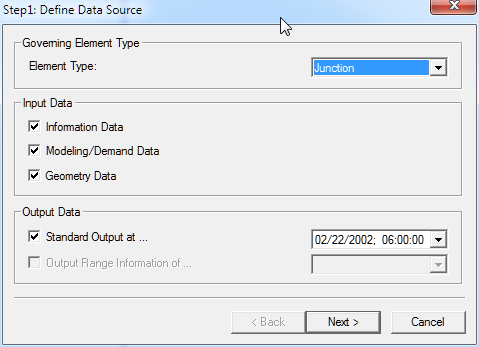 Using the Customized Report Manager Tool find the total flow at each node (Figure 5) by defining the data source as a junction. Step 6. 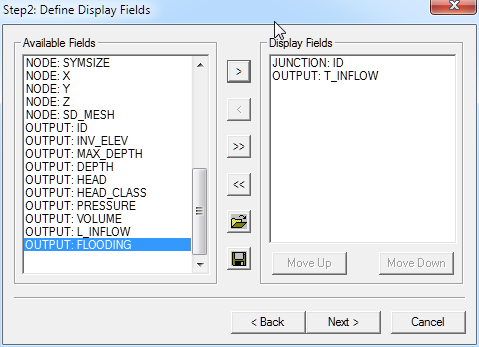 Use only the Junction ID and Total Inflow in the Custom Table (Figure 6). Step 7. Click Finish to Generate the Report (Figure 7). Step 8. Copy the ID and Output Columns to the Clipboard (Figure 8). Step 9. Copy the ID and Output Columns to Excel and calculate the Peakable Flow (Figure 9) using the peaking equation Flow = 2.4 * Unpeakable Flow ^ 0.84. Step 10. Copy the ID and Peakable Flow to another Scenario’s DWF DB Table. We call the two scenarios unspeakable and peakable (Figure 10). Step 11. You now have a Peakable and Unpeakable DWF Table and Scenario which you can use to Map the peakable and unspeakable flows (Figure 11). Step 12. Flows are now Peakable Flows if Mapped as Lateral Inflow (Figure 12). Step 13. Figure 13 shows the peakable flows in InfoSewer. They match the Excel calculation tables and the peakable DB table in InfoSWMM. The peakable flow in InfoSewer is based on the routed unspeakable flows to the node. Figure 2. Constant DWF in InfoSWMM as Unpeakable Flow in the Value Column of the DB Table. Figure 3. The DWF can also be entered in the Attribute Browser of InfoSWMM. Here is map of the DWF lateral flow Nodes. Figure 4. We will find the Total Flow at Each Node using the Customized Report Manager Tool. Figure 5. Define the Data Source as a Junction. Figure 6. 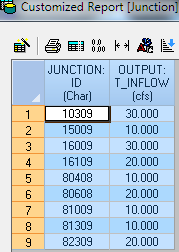 Use only the Junction ID and Total Inflow in the Custom Table. Figure 7. Click Finish to Generate the Report. Figure 8. Copy the ID and Output Columns to the Clipboard. Figure 9. Copy the ID and Output Columns to Excel and calculate the Peakable Flow. Figure 10. 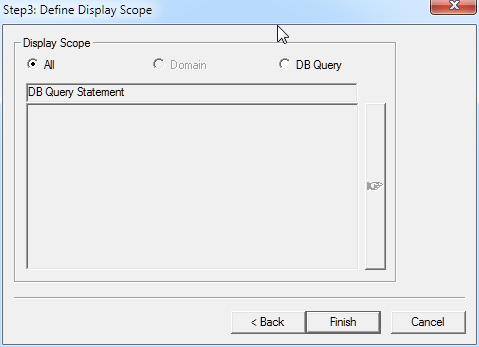 Copy the ID and Peakable Flow to another Scenario’s DWF DB Table. Figure 11. 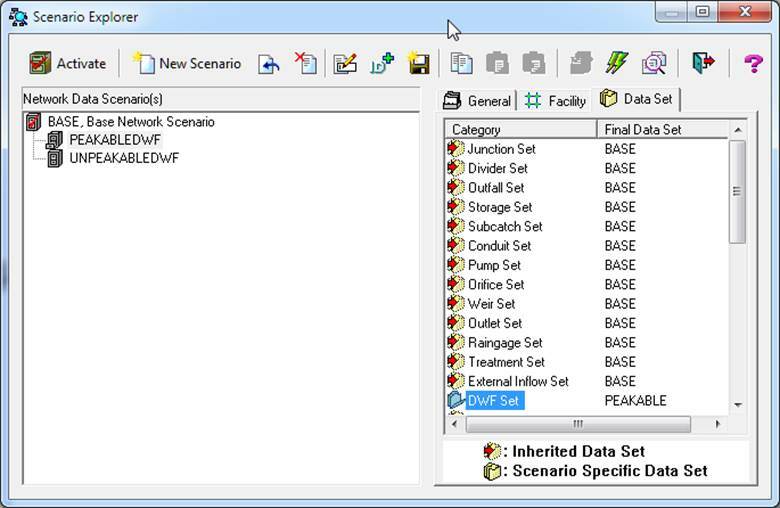 You can have a Peakable and Unpeakable DWF Table and Scenario. Figure 12. Flows are now Peakable Flows if Mapped as Lateral Inflow. This entry was posted in H2OMAP Sewer, H2OMAP SWMM, InfoSewer, InfoSWMM and tagged INFOSEWER. Bookmark the permalink.